They might realize they got a lot in common. Silva riding dressage. Skinner riding Western. Most knowledgeable, experienced horse people respect each other, no matter which type of saddle they ride in. But the above comments clearly show that stereotypes persist on both sides of the Dressage-Western divide. 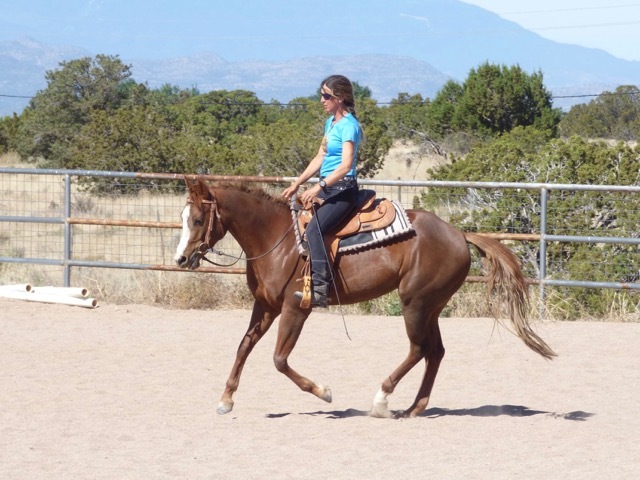 Many Western riders believe that constant rein contact seen in dressage means that riders constantly pull on the horse’s mouth, while dressage riders tend to assume it’s cruel to ride Western horses in a severe-looking curb bit. Western saddles have horns. Dressage saddles don’t. Western riders like a loose rein. Dressage riders like contact. 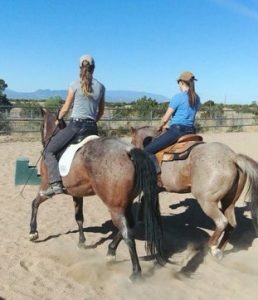 A good Western horse moves smoothly, jogging and loping in a way that allows their riders to relax in the saddle. A good dressage horse may trot and canter in a big, lofty manner that looks impressive but uncomfortable. When we look more closely, however, the differences between the riding traditions turn out to be superficial. There is much more common ground between them than most riders think, in terms of history, equipment, philosophy, and ultimately the goals of good horsemanship. We all want a relaxed, responsive, horse that’s a joy to ride. 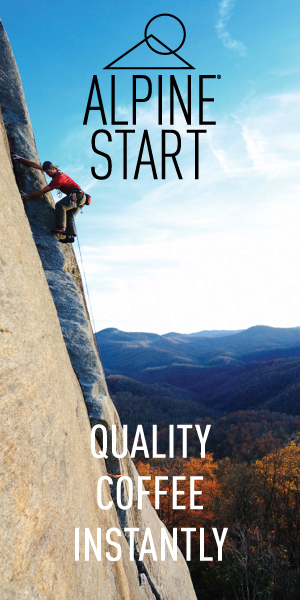 Even if we don’t all follow the exact same path to get there, we want to end up in the same place. 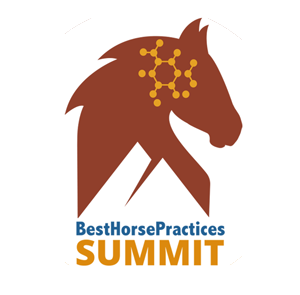 With Amy Skinner, I will do their best to convince you in our arena presentations at the Best Horse Practices Summit in October. In the meantime, we’ll discuss the differences and common elements of these traditions in a series of articles. Feel free to share your thoughts on the subject! Timely!!! I was recently at a “Classical” Dressage show volunteering & found it very hard to watch all the curled behind vertical, spurs thumping on sides, horses & riders looking very tense, flash nosebands strapping mouths shut…. I did notice some of the judge’s comments of “behind the vertical” as I ran the tests back to the office, which was hopeful. But when during a break, her scribe & I spoke about Western Dressage, the judge said, “What a joke!”, saying some things about Western horses not being through & on the bit because of long shanks, etc. I showed the scribe one of my test videos & she said it was better than what she was seeing that day and was going to look into it for herself to ride. I’m glad you are tackling this subject, you always write with good sense so I look forward to it. Good, truly classical, horsemanship is with whatever saddle you prefer. Thank you, Kathy. I feel the same way. Some judges don’t know what to make of me when I show both classical and western dressage on the same day, sometimes on the same horse. Life is too short to focus on superficial differences. I grew up riding English with Pony Club during the school year and Western on a working ranch during the summers. Usually the same horses, sometimes the same bits, but always different saddles and different jobs. My skill level, in either saddle, was pretty insignificant, but I did a lot of riding, year-round, for many years. Some aids were better with certain saddles and bits, and some rides were more fun on one saddle than the other, but not much else was different. I recently bought a Western quarter horse who has spent many years as a trail horse and has never been triained in equitation. Because I haven’t ridden for some years, I’m working us both on beginning English dressage. 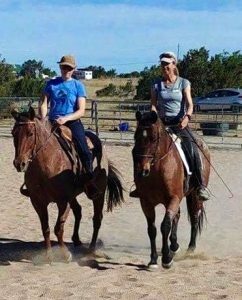 It’s fun, as I’m gradually re-learning lost skills, this experienced, reliable old trail horse is, at the same gradual rate, learning new skills. I ride him in the ring for a while and then go out across the open for just as long. His former owner is horrified that I’m trying to make a fancy horse of him. Me? I’m just having fun. The horse? Well, he’s learning that there are lots of things a horse can do that are just as much fun as evasion. Susan, thank you for sharing your story. It sounds like you’re doing your horse a huge favor. 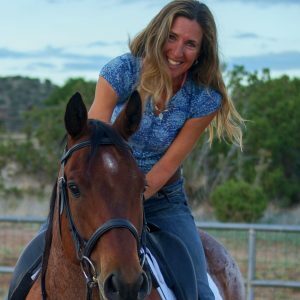 I ride lots of Quarter Horses and love them, and yes, they really benefit from dressage-type work. 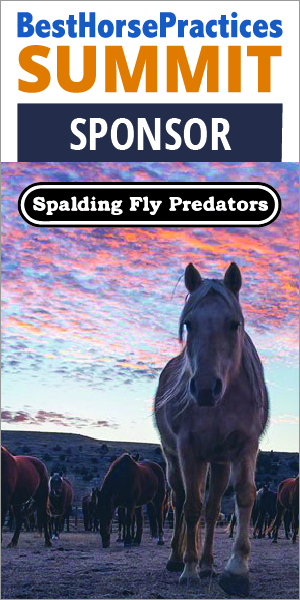 On the other side of the spectrum, I work with a couple of horses who have never left the arena or seen a trail obstacle before, so I expand their horizons in a different direction. And yes, we are all having fun, which is the most important thing.